Back from the Victorian Age, where he got lost in a good book, returns American craftsman Jesse Born with the “Sequence Logic” box. A beautiful, polished box crafted from gorgeous exotic hardwoods, the box is full of gorgeous details and requires a logical exit strategy to open. To toast this fine box I’ll stick to the sequence and offer something equally special. 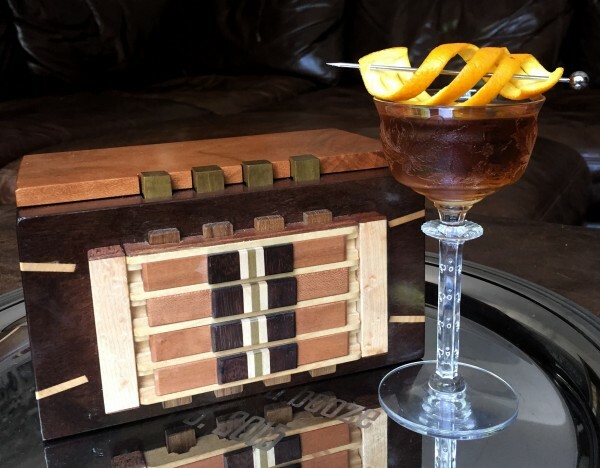 The “Exit Strategy” comes via Natasha David of New York’s Nightcap, who took her inspiration from the classic Manhattan but left it far behind. At Nightcap, Co-owners David Kaplan, Alex Day (both from Death and Co.) and David focus on simple, elegant drinks which would be great for a last call – even if the night is still young. The Exit Strategy embraces this idea right down to the name. Originally based around the unique American craft brandy Germain-Robin, I substituted another incredible American craft brandy from Nappa Valley Distillery. 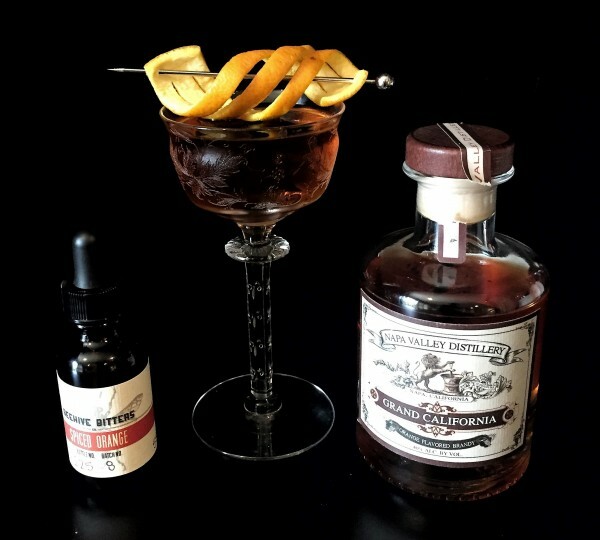 The “Grand California” is an infusion of their wonderful sauvignon grape brandy with locally sourced orange peels, which is then aged to perfection in oak barrels. 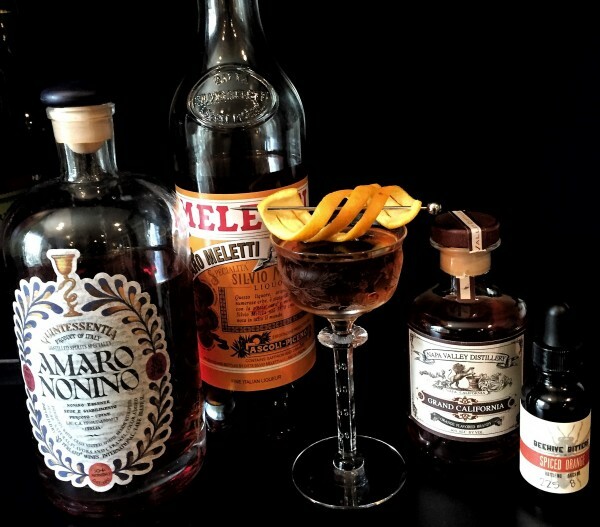 The mixture of Amaro Nonino, with flavors of thyme, menthol and orange, and Amaro Meletti, with its delightful saffron, caramel and burnt orange flavors, create something truly spectacular with this brandy. I added a few drops of Beehive Bitters’ incredible spiced orange bitters to seal the deal. The drink is sophisticated, sweet and sultry, perfect for a little late night logic. This is one exit strategy that will keep you coming, just so you have an excuse for going. It might not help you find the exit to the Sequence Logic box, but you won’t mind. Cheers!